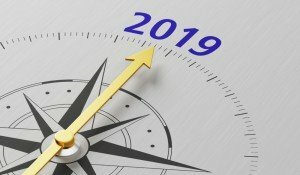 With the start of 2019, you should find time to step back and thoroughly review your corporate travel program. I know how hard it is getting out of the weeds sometimes, but with all the changes underway in the industry, as well as those looming on the horizon, it is imperative that business owners think strategically about their travel programs. The burden ultimately rests on you, not your suppliers, to craft the strategy and implement it throughout the organization. Let’s be clear. Our airline, car rental, hotel and travel management company suppliers are our friends. The relationships are symbiotic. That said, when you consider supplier strategy in light of industry changes, corporate goals do not always align. We’ve been down the GDS disintermediation road many times before, but this time corporate travel buyers have more buying options (including supplier direct sites) and powerful data aggregation tools at their fingertips. While some TMCs may argue that NDC is not fair to the corporate buyer, we believe fairness rests in the eye of the beholder. The spoils go to those who think and plan strategically about their corporate culture, goals and program disposition. As part of your 2019 review, make sure your travel policy is not silent on issues such as ride-sharing and booking sources. We have seen dramatic increases in Uber and Lyft bookings, often outside of policy, at the expense of one-day car rentals. It’s been an even bigger loss to taxis. The cost and benefit may or may not be measured in dollars alone — the ride-shares tend to be more comfortable, easier to access and, in many cities, less expensive than renting or taking a taxi. Airbnb is another option used by organizations today. It should be audited internally and added to your corporate travel policy. Depending on your organization’s booking habits and locations, this may or may not be a good alternative from a security perspective. Many of KesselRun’s clients embraced the solution in certain circumstances, but only after the properties were well-vetted. Other clients strictly prohibit Airbnb because they feel it creates undue risk relative to their duty of care policies. While the shift to the sharing economy has benefits, it’s worth noting that it can impact your bottom line by diluting preferred vendor programs. Perhaps an even bigger challenge will come in September 2019 when two-factor credit card authorization becomes mandatory for credit cards issued in Europe. At this stage, it is our understanding that GDS and direct connect-based bookings won’t present this burden as these bookings are considered “non-Internet.” However, for those who book directly with a supplier, a two-factor authorization will be required with the authorization code coming by way of the traveler’s cell phone. What happens when a corporate traveler doesn’t have a corporate cell phone and doesn’t want third-party verification coming through their personal device? Given the wide range of clients KesselRun has worked with in our years of corporate travel industry experience, it has worked with, advised on, and written numerous corporate travel policies. If your company is at a loss for what comprises a best-in-class travel policy, or what new policy questions and challenges arise during day-to-day travel and how other companies are handling them, KesselRun can fill you in. Contact us for a free corporate travel audit today!